Barn Light Electric‘s machine shop is where handcrafted barn lights and porcelain enamelware are born. 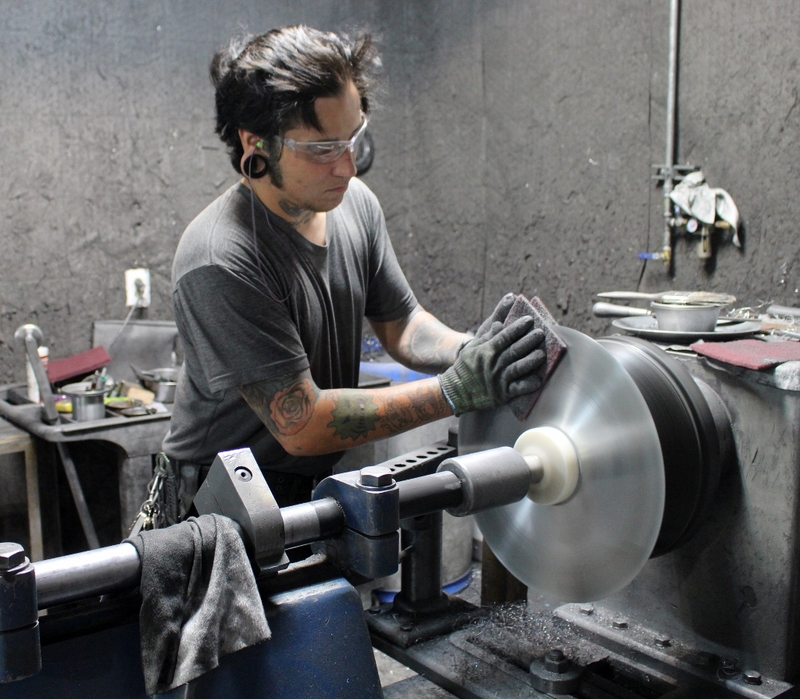 Large sheets of metal are cut into flat disks then placed on a hand lathe. 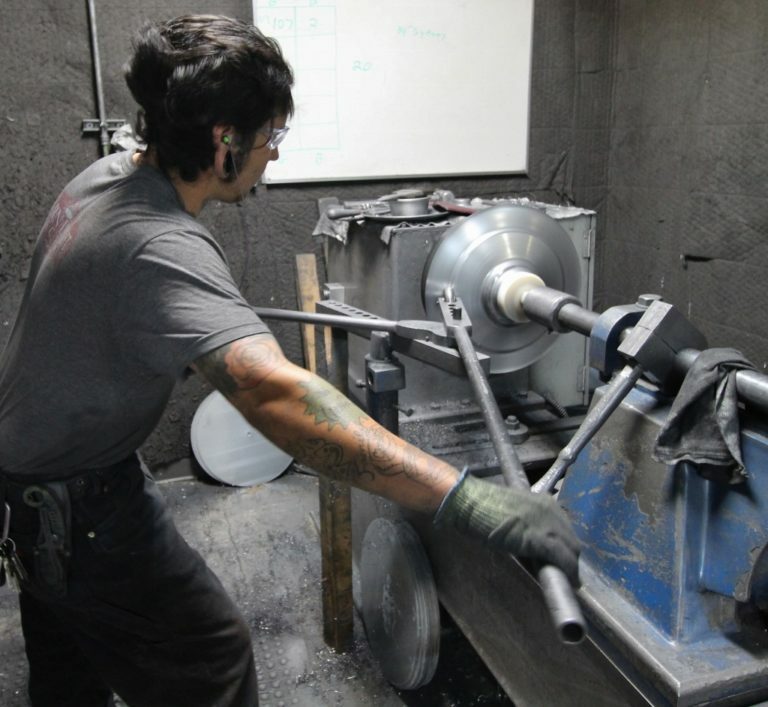 Our crew of talented metal spinners bend and shape each disk around a mold to create light shades, bowls, plates, and more. It’s difficult work that requires both strength and finesse, and lots of practice, to force the metal into the desired shape. 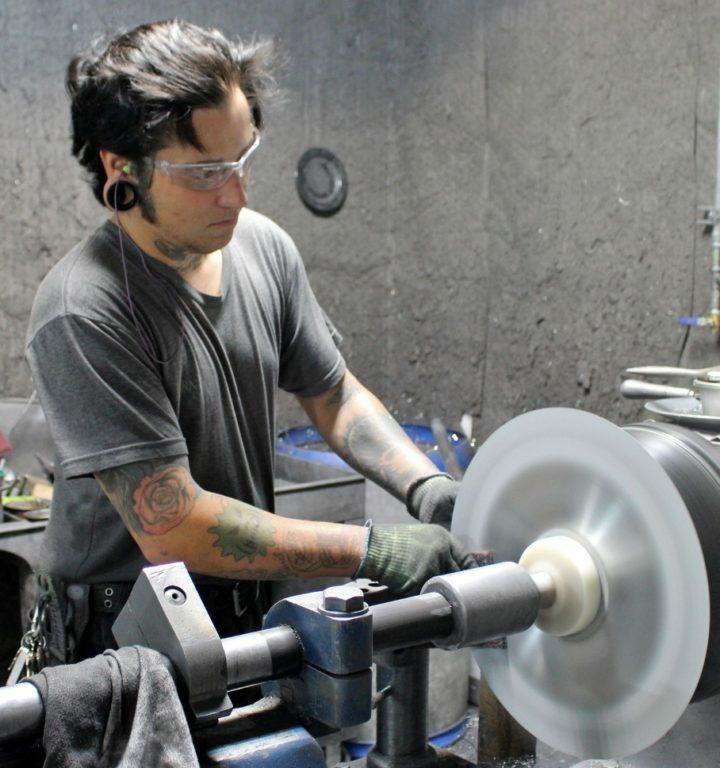 Chris has been spinning for more than four years but came to the trade quite by chance. Working on a rare Saturday morning taking inventory, Chris, who worked in assembly at the time, walked into the machine shop where another employee was spinning. Originally from Oklahoma, Chris has lived in Florida for more than eight years and will celebrate his five-year work anniversary with Barn Light Electric in November. He currently works the second shift training others in the art of spinning. “The best thing is that it’s always challenging,” Chris says. “I have yet to be maxed out and that’s likely impossible. There are always other metals to try.” Barn Light Electric currently spins light shades from copper, brass, aluminum (for powder coat applications), and steel (for porcelain enamel lights). 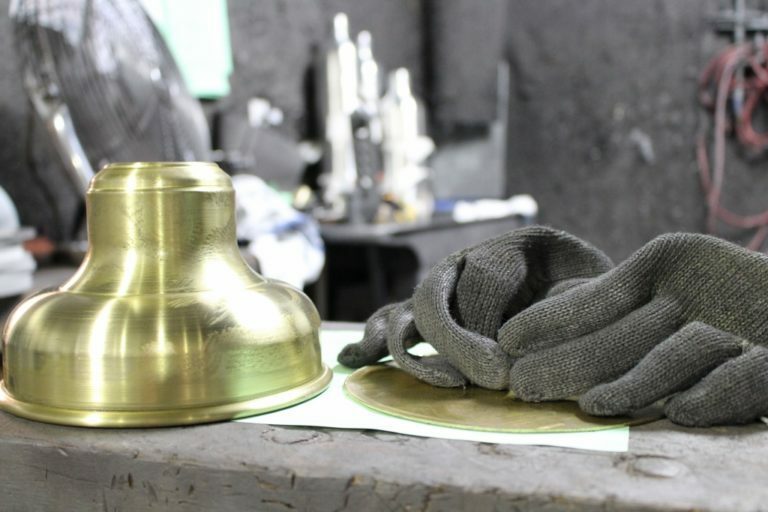 While steel is a very stubborn material to work with, Chris notes that the hardest metal to work with is brass. Away from work, Chris enjoys spending time with his family which includes his wife, their three teenagers, and his in-laws. He plays guitar and drums, and also spends time on the golf course and fishing in the nearby rivers.